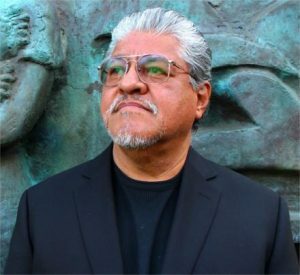 Luis J. Rodriguez, Los Angeles Poet Laureate (2014-2016) and author of eight books of poetry. 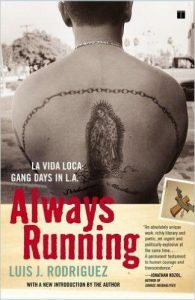 Mr. Rodriguez is best known for his memoirs for Simon & Schuster/Touchstone Books, including Always Running, La Vida Loca, Gang Days in L.A. and It Calls You Back: An Odyssey Through Love, Addiction, Revolutions, and Healing as well as short stories, a novel, nonfiction, and children’s literature. He has taught for over 35 years, is founding editor of Tia Chucha Press, and co-founder of Tia Chucha’s Cultural Center & Bookstore. Writing is a powerful way to influence and shape the culture, politics, and norms of our environment. The mind is, as William Blake said, the “poetic unity of a person.” I’ve been saved by words, coming out of gangs, drugs, and jails in my teens, when I visited libraries as a refuge, even while homeless in L.A.’s downtown streets. I left that life by age 20, and worked in a factory, paper mill, foundry, refinery, steel mill, and in construction. But I always had this dream of writing, and by my mid-twenties worked as a reporter, photographer, and radio news writer. In time, I became a poet, short story writer, novelist, memoirist, and children’s book writer. I also wrote plays and scripts. All genres became accessible and I tried to be as good in as many as possible as a way to enlarge my presence in the world.